Ross E. Cheit is professor of Political Science and International & Public Affairs at Brown University. He has a Ph.D and law degree from the University of California Berkeley. Specializations in ethics and public policy, criminal justice, children and public policy, and the politics of food. His first book, Setting Safety Standards: Regulation in the Public and Private Sectors, was published by the University of California Press. His new book, The Witch-Hunt Narrative: Politics, Psychology, and the Sexual Abuse of Children, was published by Oxford University Press in 2014. 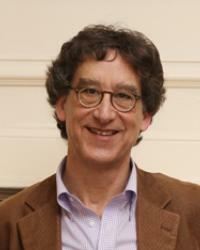 More about Professor Ross Cheit can be found on his Brown University profile and research page. Disclaimer: The views on this website are those of Professor Ross Cheit and do not formally represent the views of Brown University.